I don't know about you but here winter has seemed to go on forever, it's been so cold! But she is a beautiful season in her own way. I've made a final (for this year!) 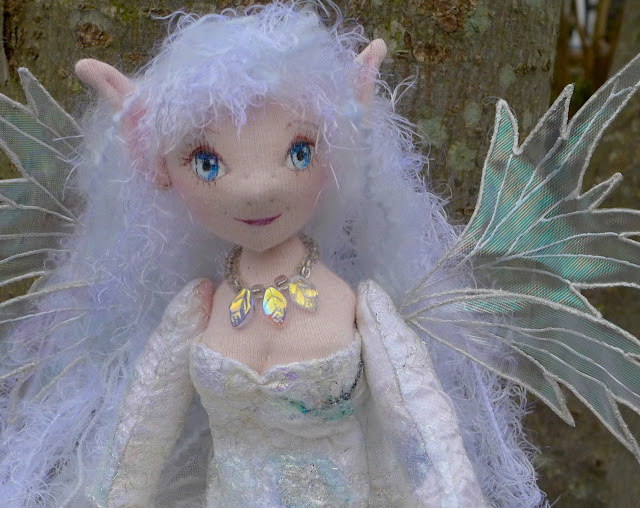 Winter fairy and her name is Neve which is Italian for snow...doesn't that fit her perfectly? Her dress top is made from some of my collage fabric and the bottom is layers of glittery snowflake netting. She's available in my Etsy store. ..................and now on to bunnies! Ditto on loving the dress. Her details really are so pretty. Bunnies are good. I'm just finishing up my first (maybe last?) batch. She's beautiful...her dress is just perfect:) Your collage fabric is gorgeous. I hope one day there will be a book of your dolls. What a joyful and visually delightful place that would be to escape into. 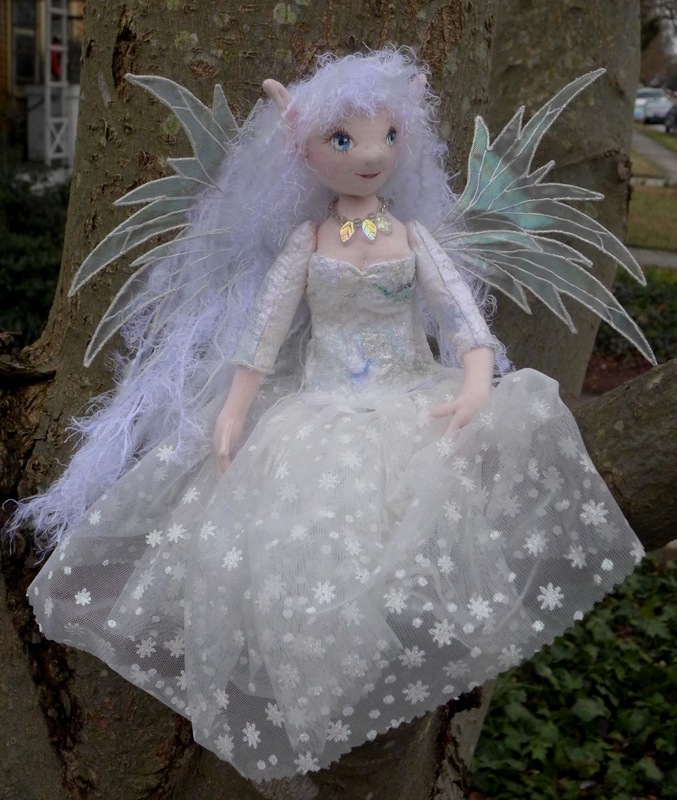 Winter Fae is breathtaking. Thank you for sharing.